CHICAGO (WLS) -- A former supervisor for the Cook County Health and Hospital System was charged in the theft of thousands of dollars in payments for patient medication. Donald McDaniels, 49, is accused of taking money from hospital patients' co-pays and deductibles. He is also accused of creating fraudulent receipts to hide the thefts. McDaniels supervised the cashiers who collect patients' payments. They are supposed to fill out a portion of the patient's pharmacy prescription and make a photocopy of the form. The hospital keeps the copy to show the patient paid in full. 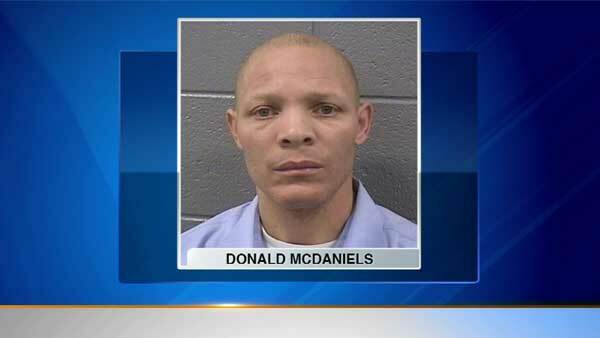 In March of 2012, one of McDaniels' cashiers said about $1,000 in cash receipts were missing, according to the Cook County state's attorney's office. After the cashier filed a complaint with the Cook County inspector general's office, investigators found that McDaniels allegedly told cashiers to throw out receipts and keep their own tally. Prosecutors said he brought money into his office and balanced the receipts himself. Authorities said a motion-activated camera was put in his office, which caught him using an old cash register to print the alleged phony receipts. Auditors found that between May of 2012 and January of 2014, the average monthly deposit trended down by $4,000 a month. Prosecutors said McDaniels stole money at least 24 times between September of 2013 and July of 2014. McDaniels was arrested on March 30 and was charged with official misconduct and theft of government funds. He is being held on $20,000 bond. He is scheduled to return to court on April 14.